ESPN and Global RallyCross Championship (GRC) series organizer RallyCross Management have reached an exclusive agreement for the inaugural race series to receive coverage across ESPN's multiple media platforms. The first race of the series kicks off at Irwindale Speedway in Irwindale, Calif. March 25-26, with two additional races at Old Mill Rally Park in Snoqualmie, Wash. and Pikes Peak International Raceway in Fountain, Colo. Following the success of rally events at X Games, including the first X Games RallyCross competition at last summer's X Games 16, the GRC series will be distributed on a tape-delayed basis domestically in the U.S. on ESPN and ESPN2 and to more than 100 countries through international network distribution. ESPN3.com will provide live coverage on the 24/7 live broadband sports network and on ESPN Mobile TV. Additionally, original web-exclusive content will be created for digital distribution across non-linear ESPN platforms throughout the social media landscape, including ESPN and X Games official Facebook pages. "ESPN is thrilled to have the Global RallyCross Championship exclusively on our services around the world," said Scott Guglielmino, senior vice president of programming and Global X Games. "We look forward to working with RallyCross Management and bringing together world-class drivers and manufacturers to showcase this exciting form of motorsports racing to ESPN audiences around the world." Three-time X Games rally gold medalist Tanner Foust, said, "RallyCross has huge potential in the U.S. and is almost the perfect spectator motorsport with the whole track visible from one seat, insane racecars that are pushing, shoving, sliding sideways and jumping. The added bonus of ESPN's involvement brings in a lot of the stars from the X Games, and anyone who's ever seen the X Games understands what ESPN is capable of doing for action sports." Top teams and drivers will be drawn from the U.S. and European RallyCross championships, including past X Games rally competitors. 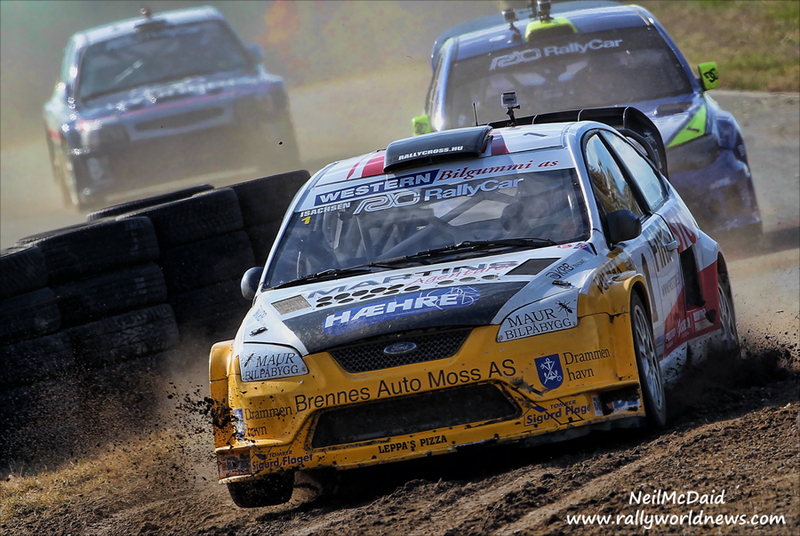 RallyCross combines the best aspects of circuit racing, off-road racing and rally competition to deliver intense, crowd-pleasing action in a variety of diverse fan-friendly environments. Featuring as many as six drivers lining up to start at once, competitors will pilot modified high-horsepower compact cars through race traffic over a challenging short course that features jumps, off-camber turns, hills and transitions between pavement and gravel. More information on Global RallyCross Championship can be found on www.global-rallycross.com.